Skiing in Hokkaido: 10 days of pure happiness in JAPOW! Cedric and Stéphanie, a Belgian couple, chose an unusual honeymoon: an unforgettable ski trip to Japan. To make their dream come true they contacted Daisuke, local IFMGA mountain guide, who took them to discover best ski spots of Hokkaido. Read what Cedric wrote about this fantastic 10 days and 100% Japanese ski trip! Stéphanie and I got married in August last year. Since we are both fans of mountain sports, after 2 years living in Bangkok, we decided to go on honeymoon to a place that mixes nature, the discovery of a new culture and meters of fresh powder snow. So we didn’t have to ask ourselves too many questions, going to Japan was an evident choice! We started our trip with 3 days in Tokyo, the perfect introduction to a country that appeared to us as very mystical. We then took a plane to Hokkaido, very impatient of having the opportunity to verify by ourselves if all the legends about JAPOW were correct and real. On Tuesday morning we met Daisuke, with whom we were going to spend the following 10 days. If we found Japan exceptional and the snow far more impressive than what we expected, it was above all, thanks to Daisuke. 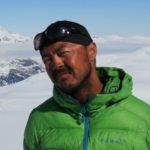 Thanks to his knowledge and expertise (he is an IFMGA guide and was born and lives in Hokkaido), we could live an absolutely unique experience. Together with him, we had very well prepared our trip. 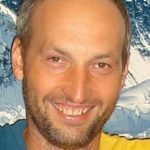 He directly understood very well what we were looking for: a full immersion in the Japanese culture, the discovery of a fine cuisine, the rituals of the onsens (hot springs) after every skiing day and above all, the best “untouched skiing spots”, looking constantly for the best quality snow! We spent 10 incredible days starting in Rusutsu with an intense tree skiing session. Our legs started to get warm but this was nothing compared to what we were going to live in the following days. This first day was also for us the discovery of the Ryokan (traditional Japanese hostels) and the different rules and traditions to respect. Fortunately, we were together with Daisuke to learn about the local customs. This didn’t avoid us to have huge laughs with him while making some mistakes in the beginning. But this was the kind of things that made us feel we were in a 100% Japanese trip. 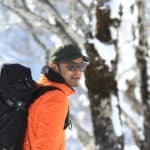 Daisuke would not only take us to the best snow, but also introduced us to the local customs, eating local food and staying in traditional accommodations. Every morning, we had the same ritual: first a generous breakfast with sea food and other nice discoveries, then Daisuke checked the weather forecast, the quality of the snow and presented us a couple of different options for us to choose. He then warmed up his van to take us to places where we were the only ones skiing! Since we changed every day of locations, we had the opportunity of discovering the best ski spots of Hokkaido: Rusutsu, Niseko, Neemy Onsen, Mount Yotei, Sapporo Kokkusai, Mount Furano, Mount Tokachidake, Mount Asahidake, Horakanai Pass, Otaru and Kiroko. In brief, 10 days of pure happiness during which we had the luxury of taking care of nothing since we fully trusted Daisuke who is such an incredible skier and guide, and who understood very well what our expectations were related to that trip. Cedric and Stephanie’s trip with Daisuke is a great example of one of the things we like to encourage at Explore-Share. They had the chance not only to discover some of the best powder skiing in the world, but Daisuke also introduced them to the magical mysteries of the Japanese culture. In the end they were so happy that they already started thinking of their next trip, checking the different ski programs listed all around the world in Explore-Share.com!